Nogent-sur-Seine is located in the Aube département in the Champagne region. The entrance of the Camille Claudel Museum is at 10 rue Gustave-Flaubert. Nogent-sur-Seine SNCF station is barely one hour from the Gare de l’Est station in Paris. The Camille Claudel Museum is ten minutes on foot from the railway station. 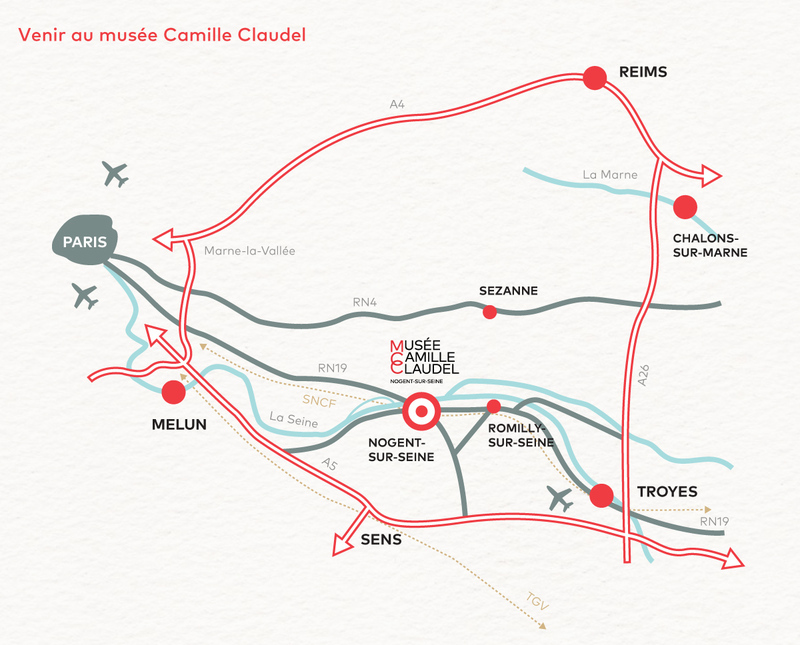 Located 1 hr 20 mins from the French capital, the Musée Camille Claudel benefits from major trunk roads linking Nogent-sur-Seine with Paris via the A5 motorway (exit no. 18), Troyes via the D619 secondary road (1 hr), Reims via the D951 (1 hr 45 mins), Sens via the D939 (45 mins) and Provins via the D619 (20 mins). Free parking spaces are available at the Parking Fournier car park (1 Rue Paul Fournier, 10400 Nogent-sur-Seine) and at the church car park in the town centre.